String lights are sometimes known as Bistro Lights, Market Lights or Festoon Lights. They give off a warm, romantic glow and add that special touch to a wedding or exclusive event. Our LED string lights even illuminate pitch black areas so guests can clearly see their beautiful surroundings. 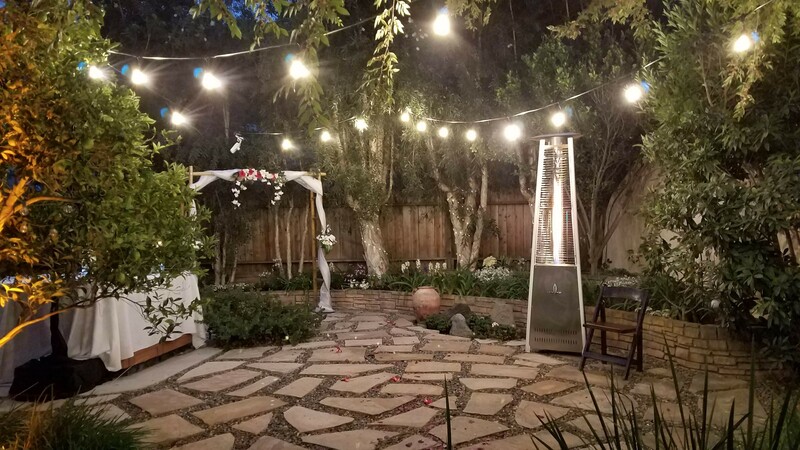 String lights rentals can be attached to our poles with bases, wrapped around existing structures and trees or a combination. We deliver and set up. Our LED Edison bulbs are weather resistant and have a heavy gauge power cord. 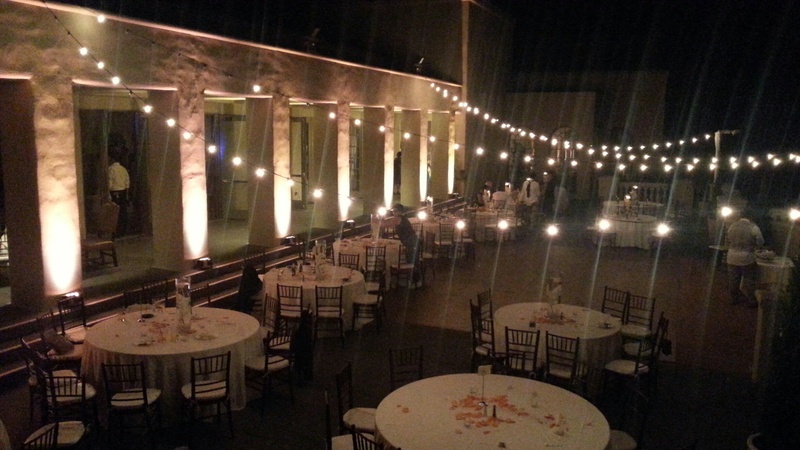 949.362.3535 String Lighting Rental for Orange County, Los Angeles and all of So Cal.